The conversation that begins “We need to find ways to add value to our print communication…” often ends with a brainstorming session that produces results focused merely on enhancing way in which things are printed. Utilizing new ink colors, foil stamping, or new die lines for interesting folds can work, but there is another way to add value to consider. It is a technology that emerged over the last 15 years (so it is mature) and it is often overlooked. It’s Augmented Reality! In retail settings alone, it is projected to be a half billion-dollar market by 2020, growing to $1.6 billion in 2025, according to data from Statista. 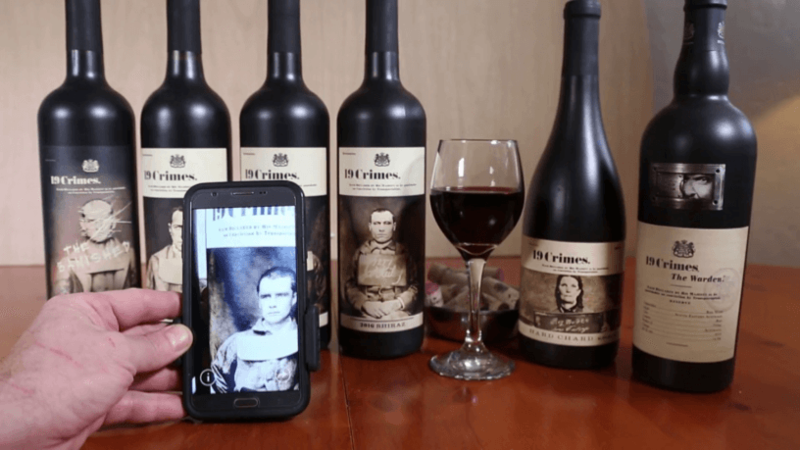 With Augmented Reality, often called AR, printed pieces link to digital experiences without the use of barcodes, QR codes, or specialized watermarking. AR can be added well after the original designs are approved. In fact, they can be added even after the piece has been printed and delivered to a client as an add on. More about that in a moment. Why consider Augmented Reality? Because AR requires engagement. It is intriguing, and it has a long life span. That makes AR solutions perfect for marketing campaign support and instructional support. In a Vibrant Media study, they found that 67% of surveyed media planners and buyers want more Augmented Reality options for their marketing campaigns. The reason? They want more consumer engagement. While this example is on a label, AR can be used with anything you print! Consumers get excited about the addition of AR to marketing collateral when the application is useful, for example, to explain new products or provide product instructions. A common use of AR is to link a poster or catalog to an additional set of experiences. Consider an in-store end-of-aisle display for a product that links to a video of the many ways to use the product. In catalogs the options are endless! The customer experience value for linking physical print products to the digital world (maybe an online campaign or a video) is growing and adoption is increasing. Augmented Reality is a safe value-add option. An ISACA.org survey noted that 73% of Americans say they know about AR and are excited to engage in it! Augmented Reality solutions come in all sizes. Some allow you to modify content as often as you want to match developing campaign strategies, while others are set up for single use. AR sets your print apart, adds value and gives it a long lifespan!